Most people outside of Texas have never even heard of it, but Whatburger is beating other "better burger" chains like Shake Shack when it comes to one critical metric: Total transactions, or orders. In the first three months of 2017, Whataburger triumphed over six of the largest fast-casual burger chains that were analyzed by data analytics firm 1010 Data, garnering 44% of total transactions. In-N-Out took the No. 2 spot, with 26% of the market by transactions. Five Guys came in third place, with 12% of transactions. Central to Whataburger's success is its size. With 805 locations, the Texas chain is second in size only to Five Guys, which has 1,312 stores. However, Whataburger also comes out on top in terms of trip frequency. The average customer visited Whataburger four times in the three-month period, compared to 2.2 visits to In-N-Out and 1.6 visits to Five Guys. The first Whataburger opened in Corpus Christi, Texas, in 1950. 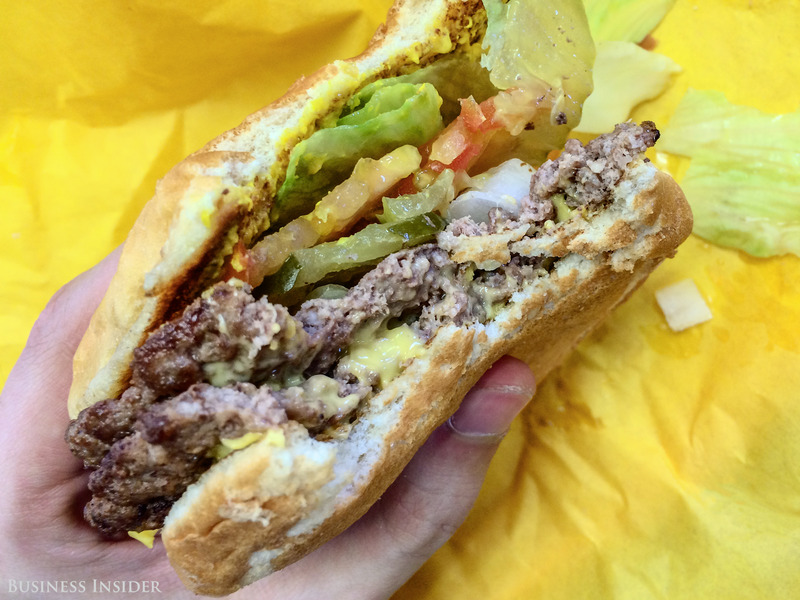 "This tiny burger stand offered something people had never seen: a burger that was so big, they had to hold its five-inch bun with two hands," the Whataburger website reads. The chain is known for its iconic Whataburger and its variations, such as the jalapeno and cheese and triple-meat versions. All burgers can be customized, as noted in the chain's "just like you like it slogan." 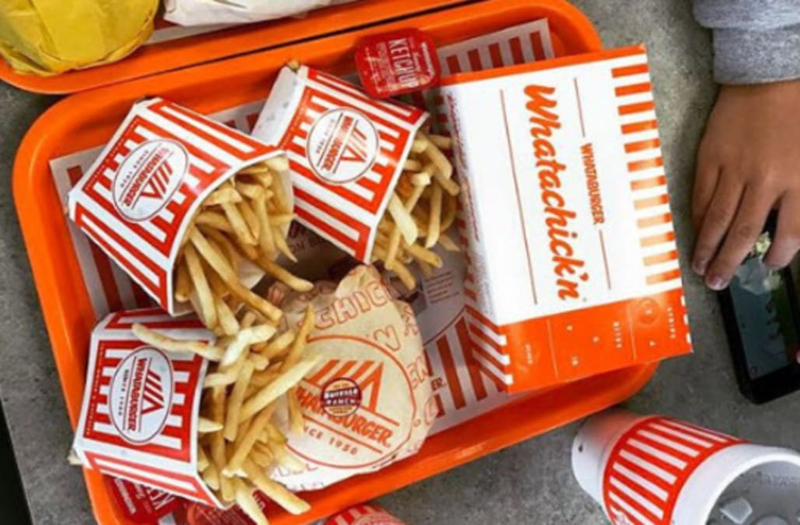 In addition to its burgers, Whataburger serves "Whatachicken" sandwiches, patty melts, fries, and onion rings. There's also a breakfast menu, which features a vast array of menu items, including taquitos, chicken biscuits, and pancakes. "I'm impressed with Whataburger in the end. Its menu is rather expansive for a burger joint, offering many other melts and chicken sandwiches as well as burgers, and the prices are average," Business Insider's Hollis Johnson wrote in his review of the chain. "The burgers themselves aren't outstanding, but the option to customize the toppings to such a degree certainly is." While Whataburger has expanded outside of Texas, the majority of the chain's locations are still in its home state. That's part of what makes the chain so popular. While West Coast burger-lovers flock to In-N-Out, Texans remain loyal to Whataburger. "For fast food, it's all very civilized," Lisa Fain wrote in a Bon Appétit article headlined "Why Texans Will Ride or Die for Whataburger." "And reliable food and late-night indulgences aside, perhaps this is the key as to why Whataburger is so beloved — it treats the customers with respect and ensures that everyone feels welcome."